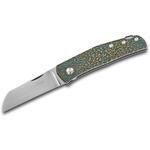 The Monte Carlo is a superb gentleman's folder that was handmade by Jens for the 2016 BLADE Show and we consider ourselves extremely lucky to have one to offer to you. 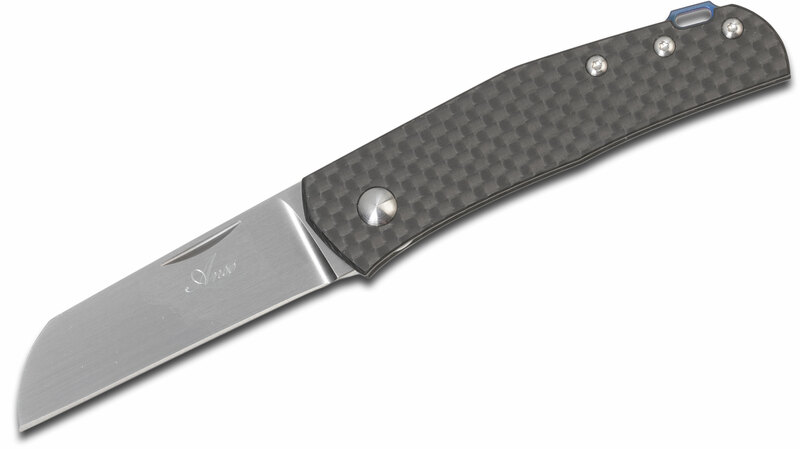 It features a non-locking blade and nail nick opening in a size that allows it to be carried in just about any country regardless of their strict knife laws. The 2.625" sheepsfoot blade is made from RWL-34 stainless steel with a superbly beautiful, uniform hand-rubbed satin finish. 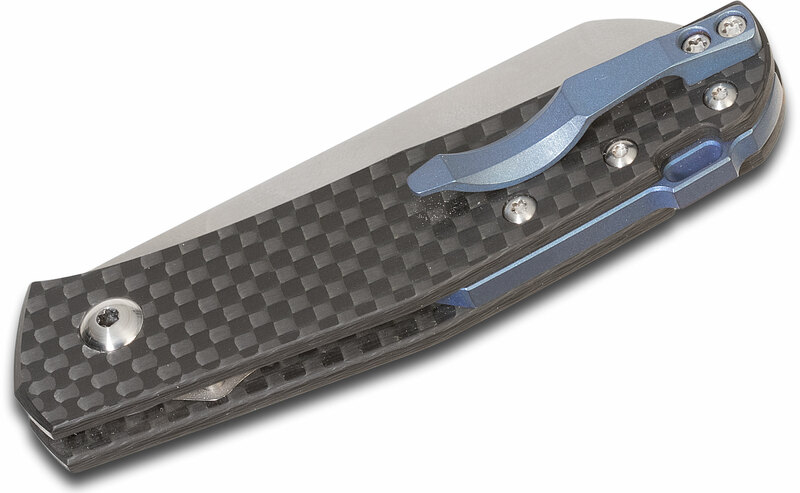 Jens has paired this gorgeous blade with a smooth carbon fiber handle and blue anodized titanium backspacer and pocket clip. It is entirely constructed with Torx screws for easy adjustment and the Teflon washers prevent debris from contaminating the pivot. It has a half-stop safety and it takes a lot of pressure to close the blade so you can feel confident when you're using it for some pretty heavy duty cutting. The Monte Carlo is a simply superb piece that is perfectly designed for everyday carry but may be destined for safe queen status. 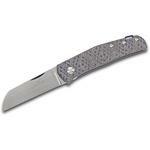 Hey, I wanted to share "Jens Anso Custom Monte Carlo Slipjoint Folder 2.625 inch RWL-34 Hand-Rubbed Satin Blade, Carbon Fiber Handles" with you from KnifeCenter.